Hello dearies! Hope the first week of January is smooth sailing :) We all want to start the year right and change the negative attitudes and behaviors or mistakes that we had last year. I presume that most of you already have your new year's resolution written on your planners or diaries. I know some individuals make their new year's resolution creative so that it will inspire them to fulfill the list of negative things they want to change. When I was in college, I wrote my new year's resolution one by one in colorful pieces of paper. I place them inside my wallet or my bag so that I'll be reminded of the negative things that I wanted to change everyday. Fast forward today, there's one creative, cute and fashionable way of making your new year's resolution or simply creating the story of your life :) This is through CREATE YOUR STORY. I know you're excited to know more about this fashion accessories online shop so click CONTINUE READING and see 'a little story' of what my 2015 would look like. 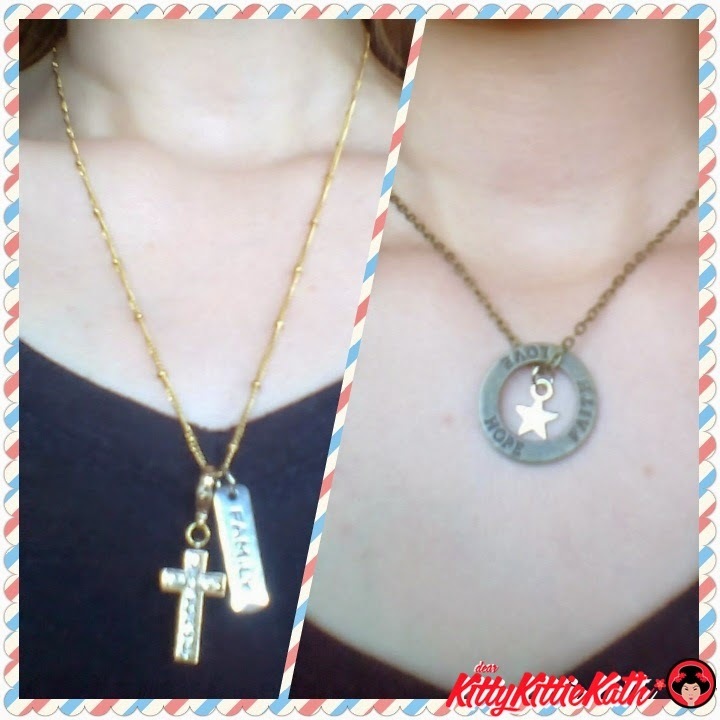 Their products are mostly personalized which includes glass locket and charm necklace/bracelet wherein you can design your own by choosing the charms or dangles/pendants that you want to be included in your necklace or bracelet. There's a wide array of charms, pendants, dangles and tags to choose from that's why I'm sure that making your own stories or new year's resolution through Create Your Story would be exciting and fun. When Ann (Owner of Create Your Story) emailed me asking the design I wanted to create, I got so excited and browsed their Facebook page immediately. I honestly had a hard time choosing the trinkets that I wanted to include in my charm bracelet and charm necklace. Like what I've said above, you are going to 'create your story' and put the things that you want in your necklace or in your bracelet. Since creating a story through images is possible, I think making new year's resolution through Create Your Story will make it more inspiring and fulfilling plus it's loaded with cuteness and style! Here are the simple steps on how to design your own charm bracelet and necklace. Put your thoughts, inspirations, dreams and things that matters to you. Show you creativity, be unique and have fun expressing yourself. Step 4: Add additional Dangles, Tags, Pendants or Window Plates to make your necklace or bracelet stand out. Here's the 'story' or the things that I look forward to this 2015. Let's start with the charm bracelet. There's a heart with a key, a hot air balloon, an owl and the word 'blessed'. Heart with a key because I'm happy that my heart is secured because I have the best husband in the world :) A hot air balloon symbolizes more out of town travels with my family. An owl for wisdom. The word 'blessed' because I'm blessed with a loving family and a simple life. For my charm necklace, a cross and the word family. There's a cross because I have faith in God that he will guide us in all the trials that will come our way. Create Your Story also gave me an extra necklace with a round pendant and a star. The words hope, faith and love are engraved on the round pendant. This prolly the most inspiring and fashionable accessories that I have to date! I'm looking forward to make more of these because I still have a few things that I want to include in my 'story'. These personalized bracelets and necklaces are perfect gift for your loved ones on their birthday. Say your birthday wishes through a personalized charm necklace or bracelet. I'm sure that making your personalized accessories the way you want it to be will be made possible through Create Your Story. What's your story? Let go of negativity in your life and your New Year will be great. Happy New Year!